PRICE REDUCED!! 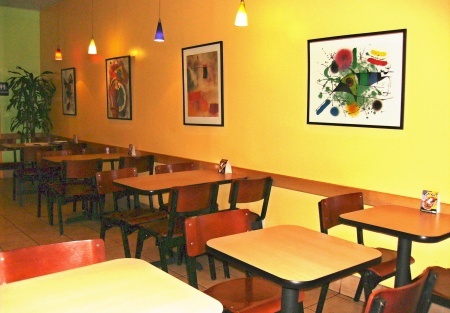 !Only $99K Selling Restaurants presents this restaurant located on one of the West SF Valley's busiest areas, neighbored by major commercial offices, manufacturing, retail chains and every thing in between. If you want a AAA location with lots of foot and drive-by traffic, and AAA neighboring restaurants, then this is your restaurant. The kitchen is beautifully equipped and professionally finished like a first class franchise. Bring your own concept into this location. Mexican, Italian, Ethnic would work well here. This current restaurant has been operating for nearly 4 years, but the owner is looking to retire and is lacking the energy and motivation to take the restaurant business and concept to next level. Go to the big orange button below and complete the Confidential Agreement and you will get Address, Details and Photos of this Restaurant. Remember when visiting Do NOT talk to anyone working about the sale of business. Thanks!This is a a Paramount Restaurant Brokers, Inc. listing. Very nice neighborhood, near High School and Warner Center. Reply fast as option period is coming and now is a good time to review lease with owner before option is initiated.